This simple sous vide salmon recipe shows off the power of cooking in a water bath, giving the salmon a perfectly tender finish. A quick sear in the pan ensures you don't have to miss out on delicious crispy skin. 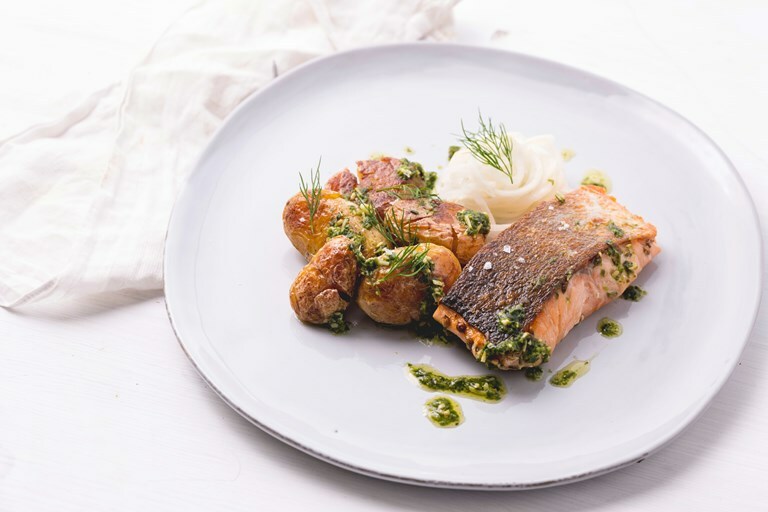 The dish is served with lightly pickled kohlrabi, roasted new potatoes and garden pesto for a dish full of contrast and intrigue.